What to do during Sandy? 1. If you’re looking to be glad you’re facing a hurricane instead of a massive storm on Everest, read INTO THIN AIR, which includes the socialite and mountaineer Sandy Hill Pittman as a character who sent pictures, blog posts, and updates from the doomed climb in 1996. 2. If you’re looking for some mindless cartoon action, tune in to Sponge Bob Square Pants, whose episodes often include a native Texan Squirrel named Sandy Cheeks who often reminds people that she is a land animal, not a marine animal (hence the need for the head bubble). 4. 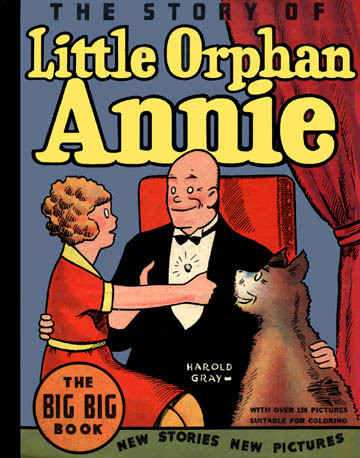 If you want to take a step back in time, browse the old comics of Little Orphan Annie, which chronicle the adventures of Annie and her pup Sandy. 5. For entertainment that is so perfectly zeitgeist and a break from the continuous coverage of the storm, tune in to episodes of How I Met Your Mother and see Robin and her counterpart, Sandy Rivers, take charge on their take of NYC local news. 6. If you’re looking to catch up on your young adult fiction, turn to a lesser known novel by famed author Madeline L’Engle, MANY WATERS. This book features brothers Sandy and Dennys, who time travel back to the age of Noah and encounter mammoths, unicorns, and Noah’s beautiful daughter. Definitely had a literary crush on Sandy Murry as a young girl. How can you not when you have the cover art of shirtless blond 80’s styled teens?! 7. If you’re looking to relive the amazingness that was The O.C., tune in to watch Sandy Cohen as Brooklyn raised lawyer and California surfer dad. Just writing this makes us wish we had all of Season One on DVD. I sit and wonder why, oh? So, readers, pour yourself a Hurricane, put on Grease, and dance your way through the night. We’ve got a long road full of wind, rain, and storm fun ahead. 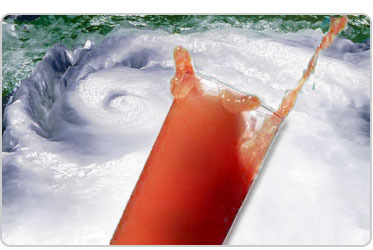  Archived in Book Recommendations, Literary Randomness and tagged frankenstorm, Grease, hurricane, NYC, Sandy, The OC. Bookmark the permalink.